Glitterballs, my situation comedy written for TV (that those fools at the BBC, ITV and Channel 4 turned down back in 1996) now reaches its fifth podcast episode at Patreon.com. In this latest episode live music promoter Tom finds himself stranded alone in a snowstorm with the secret love of his life - Dave's mum. An episode that oozes sexual tension ... sort of, Glitterballs 5: Snowbound is available now at Patreon for patrons at the $1 a month level and over. And if you bump that up to $3 a month, you can access 42 episodes of the ongoing Underwood and Flinch podcast adventure, Underground. Get in! 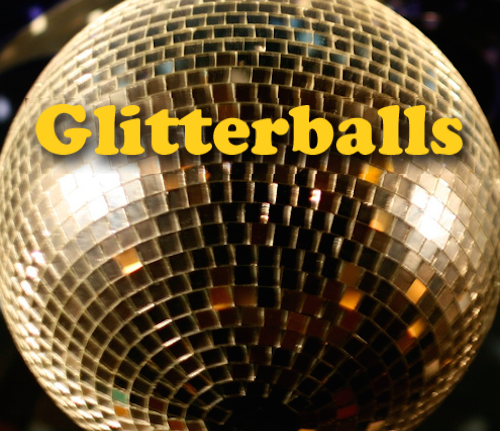 "Glitterballs is probably the funniest unproduced '90s TV sitcom about a live music venue ever podcast. Hilarious!" Mike Bennett, author of Glitterballs.